Filing a DePuy elbow implant lawsuit may be an option for patients who suffered complications allegedly related to malfunction of the DePuy Synthes Radial Head Prosthesis System. DePuy Synthes, a subsidiary of Johnson & Johnson, removed this elbow prosthesis system from the global market in late 2016, due to the possibility that the radial stem may loosen post-operatively at the stem-bone interface. U.S. medical device regulators have designated the market withdrawal a Class II recall. If you wish to learn more about the options for filing a DePuy elbow implant lawsuit, please call (888) 994-5118 to contact an attorney today. 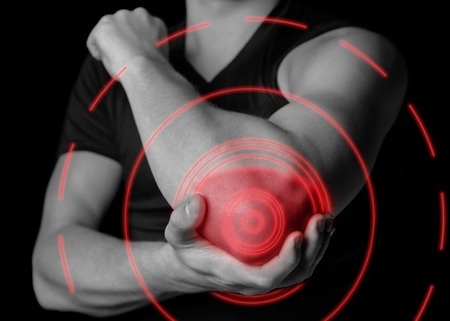 DePuy Elbow Implant: What’s the Problem? DePuy Synthes’ Radial Head Prosthesis System is indicated to restore joint function in people undergoing primary and revision joint replacement of the radial head. It is also approved for replacement of the radial head for degenerative or post traumatic disabilities; primary replacement after a radial head fracture; for symptomatic episodes after radial head resection; and revision after unsuccessful radial head arthroplasty. The DePuy elbow implant system was approved via the U.S. Food & Drug Administration’s (FDA) 510(K) clearance protocols, which do not require that a device undergo human clinical trials prior to coming to market. In December 2016, DePuy Synthes announced it was removing the Radial Head Prosthesis System from the market out of concern that the radial stem could loosen at the stem-bone interface following implantation. “If the radial stem becomes loose post-operatively, the following may occur; Device Loosening, Osteolysis, Poor Joint Mechanics, Pain, Bone Fracture – Post-operatively, and Soft tissue Damage (Soft Tissue Irritation),” the company’s notice warned. DePuy Synthes was unable to determine the reason for this issue, and noted that the cause could be multifactorial (including possible product characteristics, as well as operative and patient factors). “Consequently, we have not been able at this time to issue further instructions to surgeons that might lead to a reduction in issue rate and have decided to remove the DePuy Synthes Radial Head Prosthesis Stem from the global market,” the company said. In February 2017, the FDA declared the DePuy elbow implant recall a Class II medical device recall. This indicates that the affected components may cause temporary or medically reversible health consequences. How Can Filing a Lawsuit Help? To obtain a free, no obligation review of your potential claim, please call (888) 994-5118 to contact a member of our legal team today.